History editor Glenn Davies says, today is a sad day as the US Space Shuttle Atlantis lands for the very last time. This is the end of a thirty year program for these space shuttles. After the 2003 space shuttle accident NASA had resolved to wind back use of space shuttles once the International Space Station was completed. Now that it is US astronauts will hop rides on Russian rockets until 2015, and perhaps beyond — at an estimated $60 million a seat. By 2016, there is expected to be commercial space shuttles available for travel to the International Space Station. Yesterday – July 21 – was the 42nd anniversary of human's landing on the moon. 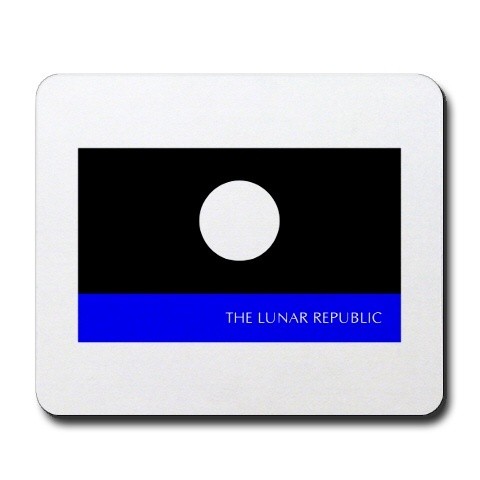 The official website of The Lunar Republic is at http://www.lunarrepublic.com. "The future of the Moon, including settlement, tourism and resource development is in your hands. Become a member-citizen of the Luna Society today and receive an acre of land on the Moon (or more!) as your gift, connecting you directly with our nearest planetary neighbor!"